The Colorado Green Drake has interesting fan wings that give it a superb silhouette. Body : Olive brown rabbit, or similar, dubbing. Rib : Dark olive floss. Wings : A pair of medium blue dun hen hackles. Palmered Shoulder Hackles : Brown, grizzle and brown. 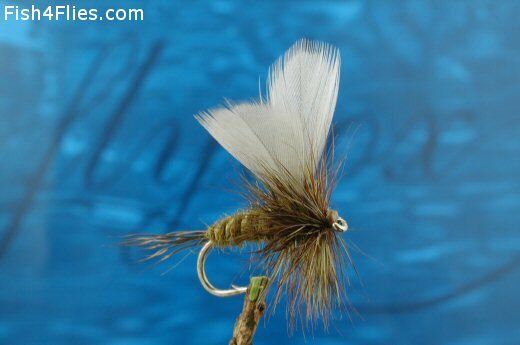 Currently there are no comments about the Colorado Green Drake fly pattern from other fly fishermen yet.